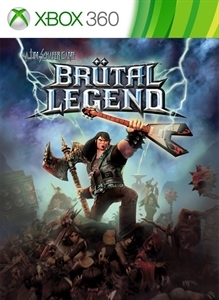 Brütal Legend HAMMER OF INFINITE FATE Map Pack adds four new maps to Brütal Legend's multiplayer mayhem. "Coiled Remains" is located deep within the heart of Tainted Coil territory, forcing armies to fight in a desecrated Titan temple. "Altar of Blood" separates opponents by a dangerous arena that can be activated to fill with drowning blood. "The Amplified Cliffs" pits players against each other in a desolate wasteland of amps and lava. "Crucible of the Titans" plunges players deep underground to fight in the company of the Metal Gods as they dangerously forge the Brütal landscape. There are no refunds for this item. For more information, see www.xbox.com/live/accounts.